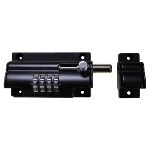 Lockey 1150 Keyless Mechanical Digital Spring Latch Door Lock Jet Black Is A Pick Proof And Bump Proof Lock With A Lever Handle And Passage Function. ADA Compliant. 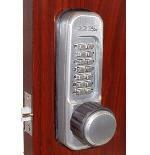 Lockey 1600 Keyless Mechanical Digital Spring Latch Door Lock Antique Brass Is A Pick Proof And Bump Proof Lock With A Round Knob And Passage Function. 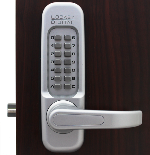 Lockey 1600 Keyless Mechanical Digital Spring Latch Door Lock Bright Brass Is A Pick Proof And Bump Proof Lock With A Round Knob And Passage Function. 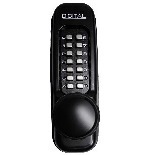 Lockey 1600 Keyless Mechanical Digital Spring Latch Door Lock Jet Black Is A Pick Proof And Bump Proof Lock With A Round Knob And Passage Function. 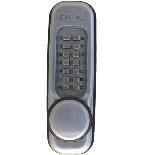 Lockey 1600 Keyless Mechanical Digital Spring Latch Door Lock Oil Rubbed Bronze Is A Pick Proof And Bump Proof Lock With A Round Knob And Passage Function. 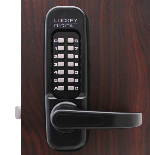 Lockey 1150 Keyless Mechanical Digital Spring Latch Door Lock Marine Grade Is A Pick Proof And Bump Proof Lock With A Lever Handle. ADA Compliant. MADE FOR SALT WATER ENVIRONMENTS. 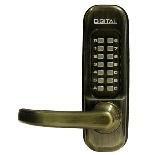 Lockey 1150 Keyless Mechanical Digital Spring Latch Door Lock Oil Rubbed Bronze Is A Pick Proof And Bump Proof Lock With A Lever Handle And Passage Function. ADA Compliant. 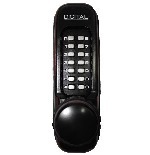 Lockey 1150DC Keyless Mechanical Digital Double Sided Combination Spring Latch Door Lock Jet Black Is A Double Sided Combination Lock With A Lever Handle And Passage Function. ADA Compliant. 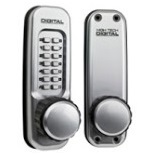 Lockey 1150DC Keyless Mechanical Digital Double Sided Combination Spring Latch Door Lock Marine Grade/Satin Chrome Is A Double Sided Combination Lock With A Lever Handle. ADA Compliant. 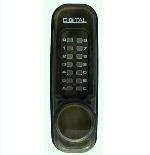 Lockey 1150DC Keyless Mechanical Digital Double Sided Combination Spring Latch Door Lock Oil Rubbed Bronze Is A Double Sided Combination Lock With A Lever Handle And Passage Function. ADA Compliant. 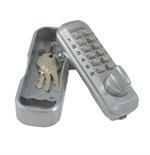 Lockey 1150 Keyless Mechanical Digital Spring Latch Door Lock Antique Brass Right Hand Is A Pick Proof And Bump Proof Lock With A Lever Handle And Passage Function. ADA Compliant. 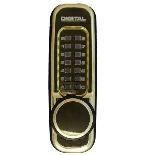 Lockey 1150 Keyless Mechanical Digital Spring Latch Door Lock Bright Brass Left Hand Is A Pick Proof And Bump Proof Lock With A Lever Handle And Passage Function. ADA Compliant. 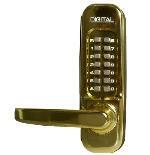 Lockey 1150 Keyless Mechanical Digital Spring Latch Door Lock Bright Brass Right Hand Is A Pick Proof And Bump Proof Lock With A Lever Handle And Passage Function. ADA Compliant. 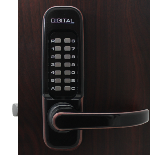 Lockey 1600 Keyless Mechanical Digital Spring Latch Door Lock Marine Grade Is A Pick Proof And Bump Proof Lock With A Round Knob And Passage Function. MADE FOR SALT WATER ENVIRONMENTS.